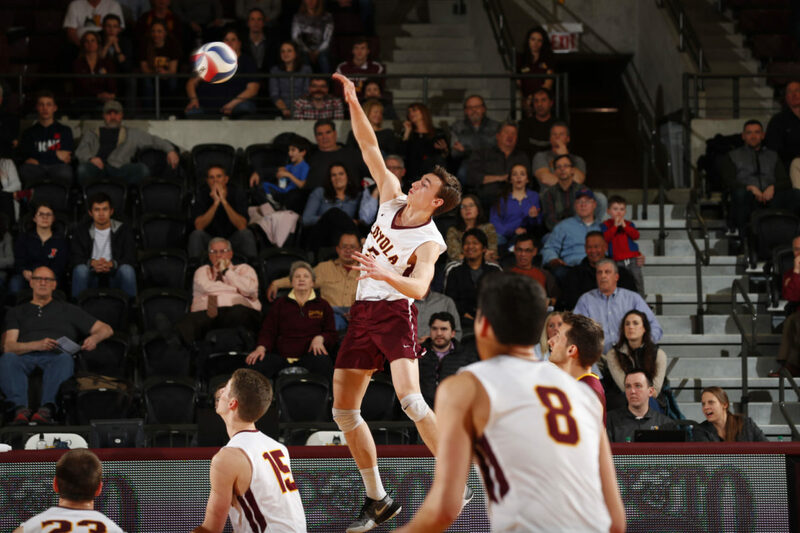 Steve Woltmann | Loyola Athletics Senior outside hitter Collin Mahan spikes the ball. Four years removed from back-to-back national championships, the Loyola men’s volleyball team must find leadership within the team to lead them back to that level of dominance. The challenge comes with everyone from the latter championship team having graduated, meaning no Rambler has NCAA Tournament experience. Despite the challenge that comes with finding an identity after moving on from such a dominant era, head coach Mark Hulse said he believes the team has taken it in stride. Senior outside hitter Collin Mahan said he believes this year’s team has remained focused on this season and isn’t concerned about outside expectations. Mahan said while the team has tremendous respect and admiration for Loyola’s championships, everyone is concerned solely with this season. He added there’s still experience and leadership on the team as everyone knows their role along with what it takes to win. “Everyone is doing a really good job and the young guys are picking it up fast and it’s really cool to see,” Mahan said. Despite how early it is in the season, Loyola has been able to showcase its high-end talent, and Mahan said there’s no ceiling. Loyola is currently outpacing its opponents in kills, assists and aces. Through their first two games, Loyola has committed fewer errors than its opponents at 29 to 47. Senior outside hitter Will Tischler said the younger players have already shown growth and have been able to have a positive impact despite their lack of experience. Mahan said the older players on the team have done an excellent job of continuing Loyola’s culture of winning, success and hard work. The values of hard work and sportsmanship which brought Loyola consecutive national championships have been passed down to the younger players on the team, according to Mahan. Despite losing former team captains Jake Selsky and Jeff Jendryk, Mahan said the team has kept a winning mentality and looks to showcase its elite level talent against any and every opponent. Mahan and Tischler agree the team has missed the players from those championship teams; however, it has rebounded from those losses almost immediately. Tischler said he saw the team recover and adapt to their new situation instantly and credits their ability to adapt to change with the mentality and resolve of the younger players. 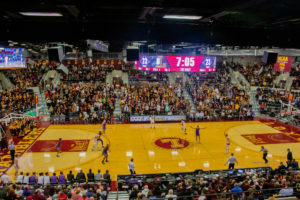 The Ramblers (3-1) are scheduled to continue their season Jan. 18 against Pepperdine University at Gentile Arena.